While maintaining a less toxic, more natural beauty routine is a great idea in theory, overhauling your current lineup of products is likely a mildly intimidating endeavor—especially when it entails parsing through a series of unrecognizable ingredients that contain more syllables than should ever be allowed in any human language. We're here to tell you that unpronounceable jargon aside, cleaning up your regimen doesn't have to be so difficult—nor is there a "right" way to do it. It can be as simple as versing yourself on a few common toxins and avoiding them as much as possible. Or maybe you just want to start by swapping in a new moisturizer and work your way through the rest of your vanity from there. Every little bit counts, for both the environment and your health—don't forget that your skin absorbs just about everything you put on it, so it's worth the scrutiny. But stress won't do your complexion any favors either, so let's take that out of the equation, shall we? Our five-step guide is foolproof. Well-versed beauty junkies know that reading your product labels isn't so different from reading a nutrition label at the grocery store: You want to assess the different ingredients and keep an eye out for anything that looks questionable. That said, learning what is questionable takes practice and research. (Categorically banning anything you don't recognize isn't the way to go, since natural ingredients are often listed under their scientific names.) You might want to start by familiarizing yourself with six of the most common culprits. Beyond that, keep your laptop or phone handy—in addition to Googling foreign-looking ingredients, you can also run individual products through a few different databases created specifically to shed light on the health and environmental friendliness of different cosmetic products. Environmental Working Group: The EWG's Skin Deep Database houses more than 70,000 products on the market. Simply search the product in question, and the database offers an ingredient-by-ingredient breakdown—you'll see a score for each one, as well as a detailed list of any potential concerns and sensitivities. Beautypedia: Head here if you want a brutally honest take on your go-to products. This database rates and reviews thousands, detailing everything from the safety of ingredients to the efficacy of the formula. Once you've gotten a feel for the different ingredients, it's time to consider your own priorities and decide which products to keep in rotation and which to replace, even if only eventually. Keep in mind that this is up to you. It's easy to get caught up in the "good" versus "bad" paradigm, but the truth is that it isn't so black and white. An ingredient that causes sensitivity in one complexion might be just fine for another, and you can obviously decide how stringent you want to be. Make no mistake: As awesome as it is to strive for a completely "clean" routine, it is also a huge commitment. Even if that's your ultimate goal, you might consider easing into it rather than diving right in. Here's the good news: There's never been a better time to shop for clean beauty. 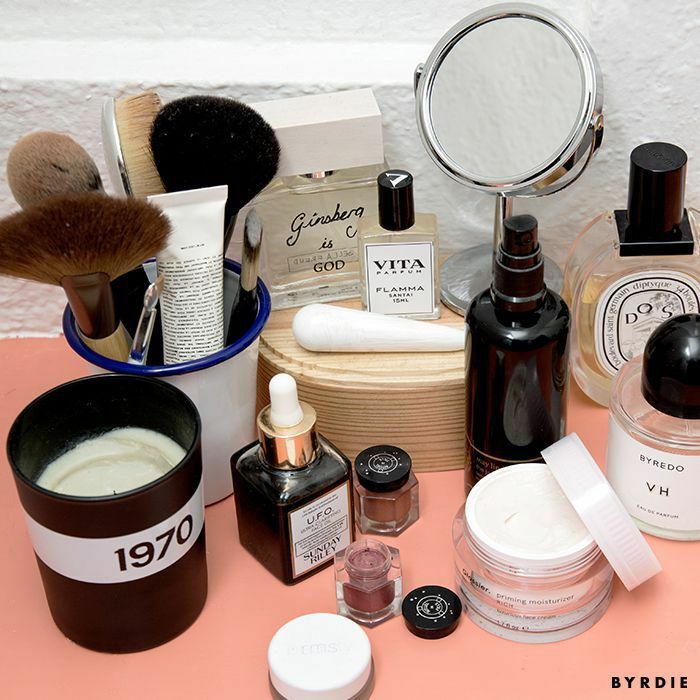 As countless new brands continue to challenge the retail space with their sleek packaging and truly revolutionary, phenomenal formulas, older standbys are following suit and upping their own commitment to detoxing their formulas. Plus, megastores like Target are getting in on the action by expanding their variety of cool natural brands all the time. Peruse this extensive (but not-at-all-exhaustive) list to get the shopping inspiration going. Now, the fun part: Find your new favorites by shopping and experimenting. (Tough job, we know.) And as you continue to shop, read labels, and explore the world of clean beauty—whatever that means to you—you'll quickly become an expert about everything you're putting on your skin.